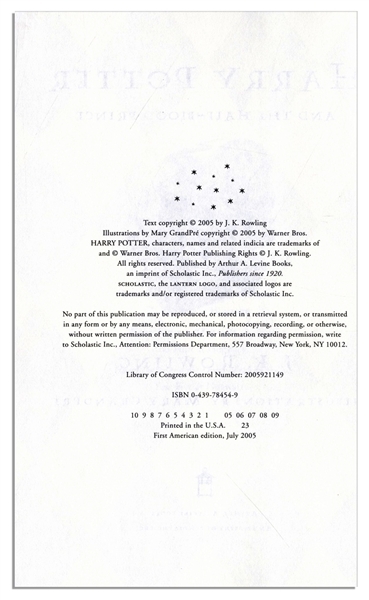 First American edition, first printing of J.K. Rowling's ''Harry Potter and the Half-Blood Prince.'' New York: Scholastic Press: 2005. 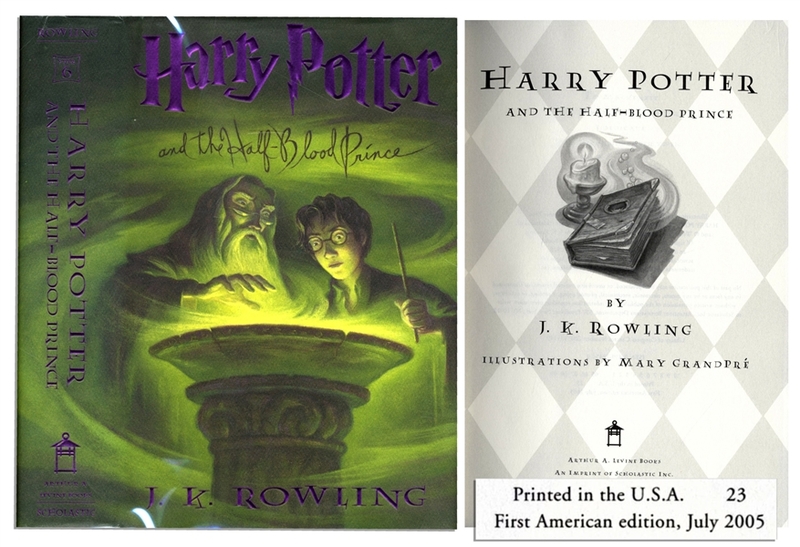 Novel explores the past of Harry's nemesis, Lord Voldemort, and preparations for Harry's final battle alongside his headmaster and mentor, Albus Dumbledore. 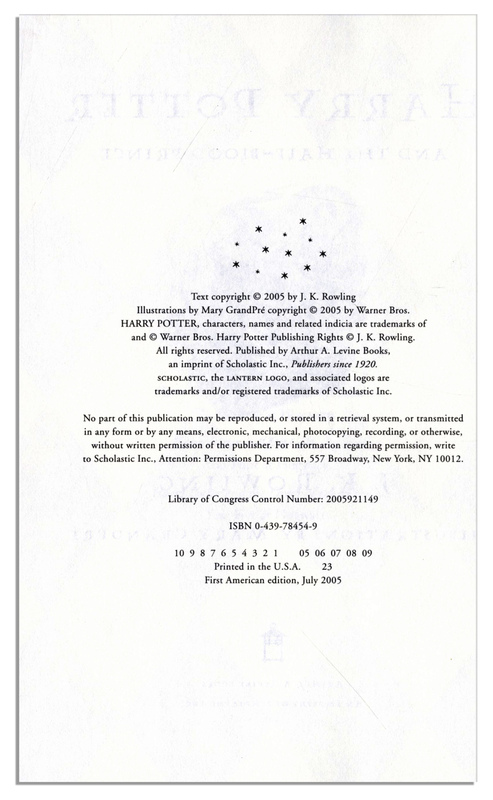 The stated first edition, with original unclipped dust jacket, measures 6.25'' x 9.25''. Fine condition.